This podcast from WLRH’s Writer’s Corner http://www.wlrh.org/PodcastFiles/081909.mp3 about the 30th anniversary of the Kaffeeklatsch started out as a column in the Huntsville Times. At the end of the podcast WLRH producer Judy Watters has added music Microwave Dave Gallaher recorded live at the Kaffeeklatsch. Have you ever drunk water directly from a natural spring in the woods? Many of you have, though it might be a distant memory. So many natural springs have been tainted by now that most of us buy our “spring water” in plastic bottles. Until recently, you followed old trails to find the best spring water. John Hunt found Big Spring by following such a trail. Before John Hunt, before cotton and rockets, people came here for the drinking water. There are hundreds of natural springs in the Huntsville area, but few rival Big Spring in output of water. According to data from the Geological Survey of Alabama, Big Spring yields more than one thousand gallons of water per minute. Take another look at Huntsville’s Big Spring. The water flows from a gap in the massive bluff, some of it spraying from a pipe in a mossy boulder. Try to picture one thousand gallons of water flowing out of that gap in one minute. You know what a one gallon jug of water looks like. Can you see one thousand jugs of drinking water tumbling out of the limestone wall every single minute? Imagine gathering those jugs of water into cases and loading them onto semi trucks. In one working day, how many truckloads of drinking water might we have sent to the thirsty people stranded after recent hurricanes? How many gallons would be available to each of our own citizens, if our power grid went out and our water treatment plants shut down? 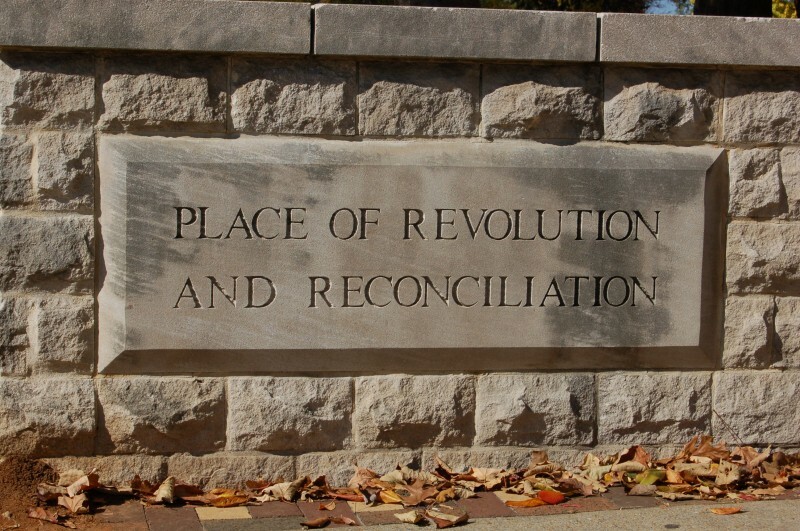 Even though we no longer drink from the Big Spring, it remains a central player in Huntsville’s psyche. Rumors abounded, when I was a teenager, about the cave under downtown Huntsville, possibly under the courthouse itself, out of which Big Spring’s water flowed. Supposedly you could get to it through a manhole cover on Green Street, but that seemed farfetched. A delightful new book called Tales of Huntsville Caves confirms this rumor as true. The Huntsville Grotto of the National Speleological Society published Tales of Huntsville Caves this year to celebrate Huntsville’s Bicentennial and the Grotto’s fiftieth birthday. Maps and stories bring seventeen Huntsville caves to light. You can buy this book at your local independent book store, or at the NSS office on Cave Street. If you have never seen cave maps, prepare yourself to think about the underground in three dimensions. If this book is your first opportunity to see cave maps related to familiar surface features such as roads, realize that our rocky earth will never again seem as solid and unshakable as you previously thought. Now that I have seen the maps that relate Big Spring Cave to Huntsville’s courthouse square, I am amazed that the square isn’t a giant sinkhole. Fortunately, the courthouse we built in 1964 was engineered with the cave in mind. By then the city had wisely abandoned the use of Big Spring as a potable water supply. Concrete pillars placed within the cave reinforce the cave roof to support our current courthouse. Nowadays we take it for granted that we can’t drink from Huntsville’s Big Spring. If we prefer spring water to other forms of drinking water, we tend to buy it in bottles trucked in from someone else’s spring. Big Spring is a park now. I realize it would be farfetched to rearrange downtown Huntsville to restore Big Spring as a drinkable water source. Visit Big Spring to stroll. Read the historic marker, ponder the massive limestone bluff… but don’t drink the water! Alabama is haunted by the mean spirit that created the Constitution of 1901. Please let me know if this is not legible. Have you ever drunk water from a natural spring in the woods? The 1960s were turbulent in Alabama. Someone we know has gone into the feng shui business. the capital in the days of the Mississippi Territory. The green gargoyles of the Terry-Hutchens building were icons to my sister’s kids. Would you know a conga line if you saw one? Have you ever eaten fried chicken? African influences like these permeate American culture. After eight summers in Vermont, I celebrated July 4th in Alabama this year. on Earth offer the variety of ecosystems contained within our borders. to go to understand how things got this way? Alabama is haunted… by the mean spirit that created the Constitution of 1901.
removed from public view, I wanted to see it for myself. 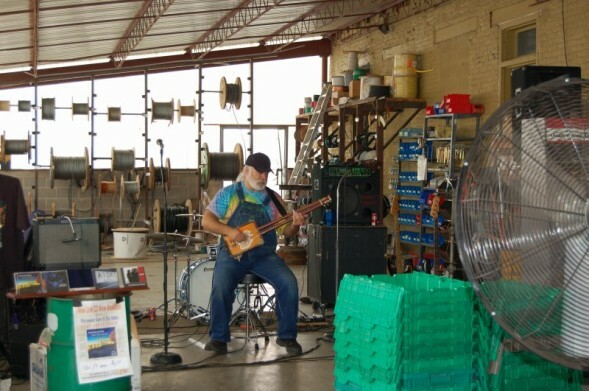 streaming sunlight, Dave Gallaher plays guitar. I may seem yankified now, but no one in Vermont ever mistook me for a New Englander. Kelly Ingram Park, Birmingham Alabama. 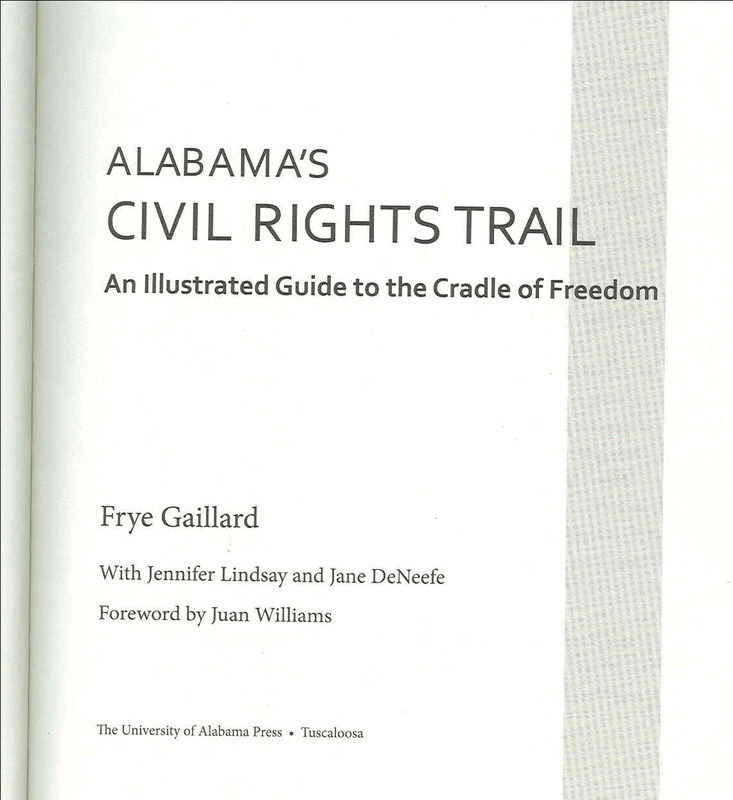 Coauthor of Alabama’s Civil Rights Trail: An Illustrated Guide to the Cradle of Freedom. 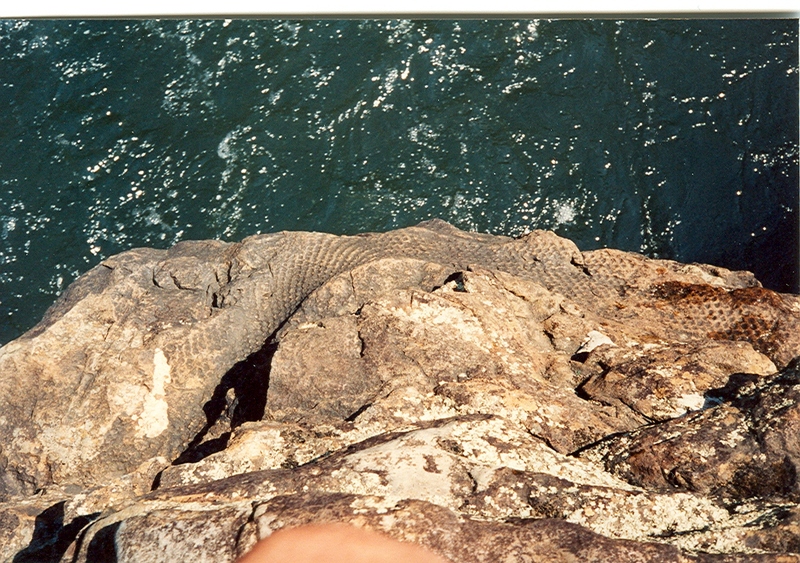 Fossil of a tree fern stalk in Little River Canyon.